A considerable number of Sargodhians participated as pilots in the 1965 war against India. Following is a brief account of those who won the coveted Sitara-i-Jurat for their gallantry in air combat. He was one of the pilots who struck the enemy airfield at Kalaikunda in the first strike mission against India from East Pakistan . In one of the operations he engaged 4 Indian Air Force Hunters thus diverting their attention from the PAF aircraft who were attacking the enemy airfield. Later, he himself managed to evade the Indian aircraft and return home safely in a crippled aircraft. During different operations, he destroyed three Canberras and one C-119 on the ground and one Hunter in the air-to-air dogfight. He was awarded Sitara-i-Jurat by the Commander in Chief, PAF Air Marshal Nur Khan. 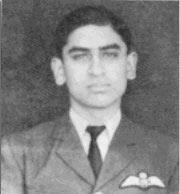 Flt Lt Tariq Habib was the youngest recepient of Sitara-i-Jurat in 1965 war. He flew the highest number of combat missions during the 1965 war with India. His enthusiasm and aggressiveness was a source of inspiration for the other pilots. He never looked tired or apprehensive against heavy odds. Inflicting maximum damage to the enemy was his only objective. He was credited with one aircraft, 2 heavy guns, 15 tanks and 22 vehicles destroyed and another 8 tanks and 19 vehicles damaged. For his exemplary courage and determination and outstanding devotion to duty he was awarded Sitara-i-Jurat by the President of Pakistan, Field Marshal M Ayub Khan. He flew 12 ground attack missions against the enemy in Sialkot , Wagah and Kasur sectors. His will to destroy the enemy in face of heavy fire and in total disregard of his personal safety earned him deep appreciation of Pakistan Army. 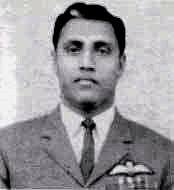 On 19th of September,1965 in spite of having been separated from his formation and bad radio communication, he shot down an Indian Gnat and returned to the base safely. For his exceptional flying skills, courage and outstanding devotion to duty he was awarded Sitar-i-Jurat by the President of Pakistan, Field Marshal M Ayub Khan. It is worth mentioning that none of Sargodhians lost his life during the September, 1965, war.